A Smart Way To Repair Diamond Cut Alloy Wheels. 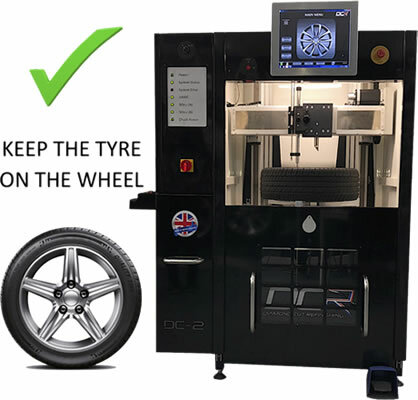 DC-2 has been designed from the ground up to be a refinishing machine for alloy wheels which can be use as a mobile solution, our machine will produce a great finish of the same standard as the large CNC lathe machines. The user interface is simple and easy to use. Our wheel repair inc lathe can be installed into a high top van and taken to your customer for same day, on-site repairs. Our DC-2 wheel repair lathe is powered by a 13amp single phase supply and has a footprint of just 1320mm Wide x 1785mm High x 960mm deep. 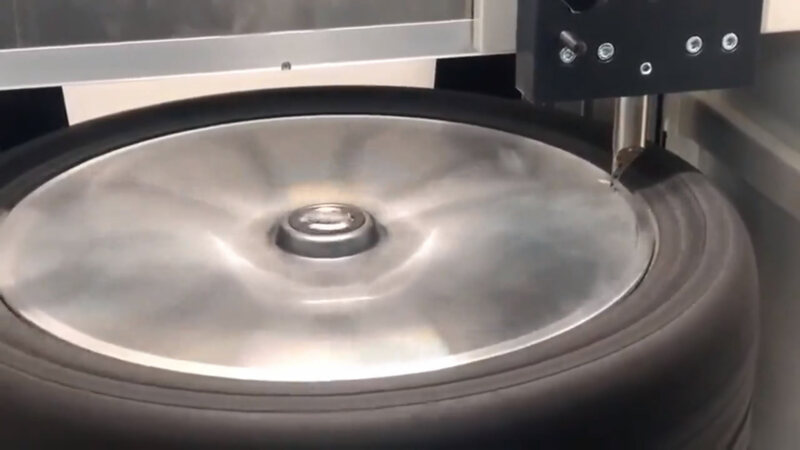 Super fast probing can read a typical 20″ wheel in 30 seconds for fast wheel throughput. We dont need to save the wheel profile due to the speed of the DC-2. Saving a profile will increase the risk wrong profile upload which can cause machine and wheel damage. Easy to use touchscreen interface with step by step instructions. DC-2 wheel lathe cuts wheels from 14″ to 24″ in diameter. Intergrated camera for online support. Rapid two stage process – Scan wheel, cut wheel. Worlds smallest design saves on valuable workshop space or fit into a van for a mobile repair service. DC-2 Only requires a 230v 13amp Single phase electrical supply.